Just win, baby! 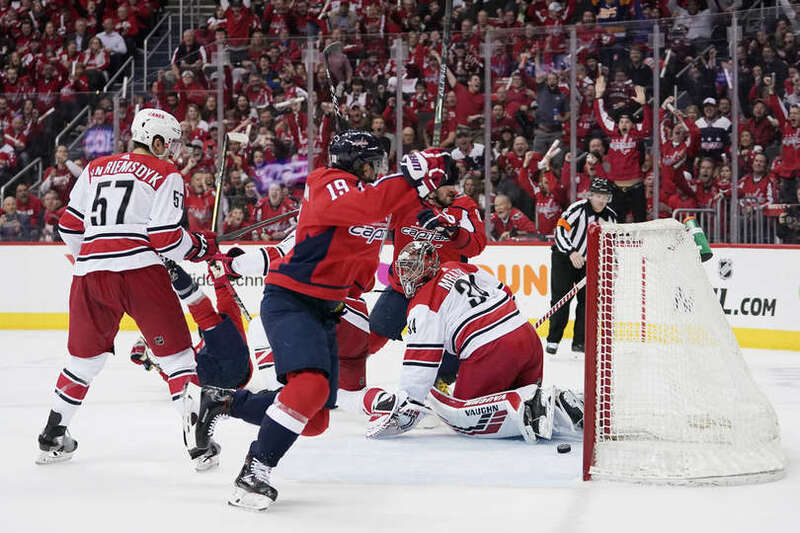 The Washington Capitals took a 1-0 series lead against the Carolina Hurricanes with a nail-biting finish. It was nice to win, but if the Caps want to continue to win in the playoffs, they need to play better and they know it. At 5v5, the Canes handled the play, especially after the start of the second period. The Capitals had three grade A chances in the third period, but Peter Mrazek’s saves fueled the Canes in their comeback. Because after those chances the Capitals did nothing at 5v5. As it shows, really no one stood out for the Capitals. The Caps best four players equaled the Canes number one best player. That’s not good. Everyone needs to be better next game. The only line that did well at Expected Goals was the fourth line. Which is awesome when you want good depth, but not at the expense of all your other lines doing very poor. The Caps top six lines hovered barely over three scoring chances per 10. That is no way to win in the playoffs. Maybe some line shuffling will eventually happen, like switching Jakub Vrana and Carl Hagelin. And the defensive parings didn’t do much better. But it’s also hard to tell what the pairings were. They were very fluid. One shift a defenseman would be paired with one player than the next shift with someone new. They did so much swapping that Christian Djoos didn’t even register as a defensive player on MoneyPuck, because they only add the three top pairings in time on ice. But it would be best going forward if the coaching staff settled on pairings and stuck with them, because it has to be hard finding chemistry when there’s someone new paired with you every shift. Where the Caps got beat the most was when the Hurricanes were forechecking. They would send players in at full speed to force the Caps player to make a quick decision that can lead to turnovers either on their stick in their defensive zone or make them flip the puck in the neutral zone where Carolina could recover it. The Caps need to find the soft spots in their own zone and get a guy there to receive a pass so they can skate it out. If they don’t, this could be a rough series. Winning is winning in the playoffs and it’s awesome the Caps won when they didn’t play that well. Remember how many games they lost in playoffs in the past when they dominated a team? But if they want to go far this Spring they need to play better and they know that. After the game Capitals Head coach Todd Reirden said, “You leave from a game like this, you’re happy with a win. But we can play better than that, especially 5-on-5.” The good news is they know where they need to better, now it’s a matter of actually fixing it and getting ready for game two.